A small to medium sized oval saucer in black sinamay. Hand curled quills wrapped with swarovski pearls and a flourish of feathers with accents of antique gold and ivory on the underside. A popular and very easy to wear oval saucer headpiece in black sinamay. The saucer is mounted on a discreet silver hairband for with a small comb fitting for extra security. 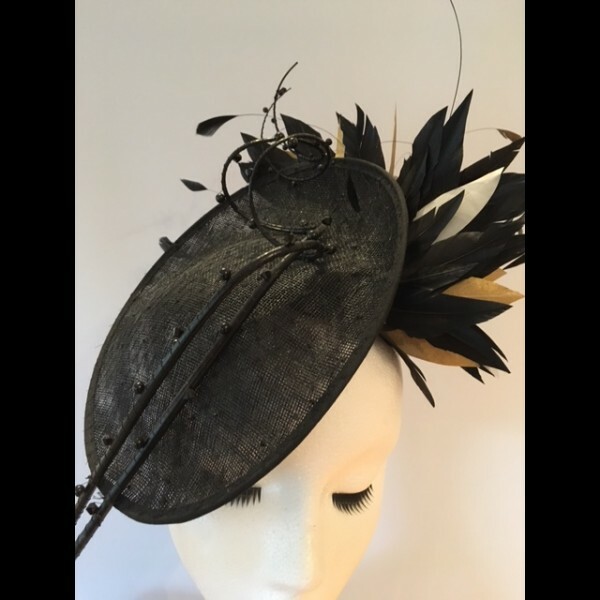 The upper side has two handcurled quills which are intricately wire wrapped with Swarovski pearls. 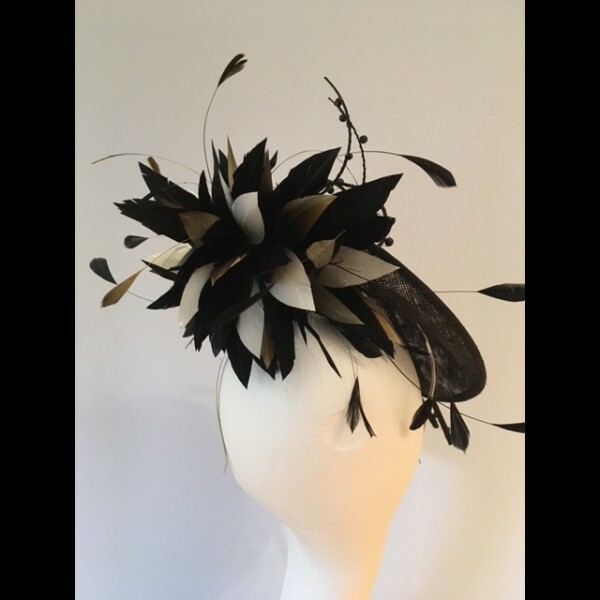 A flourish of matching feathers on the underside with accents of antique gold and ivory. This headpiece is for hire.